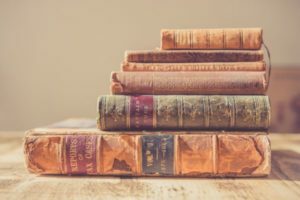 Book list to help with writer’s resistance. Over the years I’ve learned a few signs that signal to me that I am probably experiencing some writer’s resistance and avoiding the creative work that needs to be done. One tricky sign is that I’m suddenly doing more reading about writing than I am writing. I tricked myself with this one for years because reading about writing feels so productive, but when it comes down to it those are still hours when I read someone else’s work instead of doing my own. I’m not saying you shouldn’t read books on writing, obviously. (Right? Read on!) 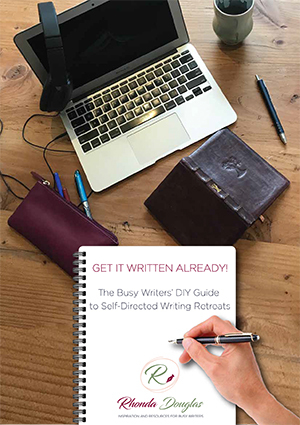 But paying attention to what’s going on when you’re filling what was supposed to be writing time with reading about it instead could help you ID some of the natural writer’s resistance that can creep in between you and your creative work. Bright side #1: I have a personal library of books on writing that could stock an entire Book-Mobile, and I do go back to them from time to time to revisit those ideas. Bright side #2: I can share them with you in the hopes that these 6 in particular might shake something loose for you in a time when you’re finding it hard to get to the page and get your own writing done. This list could definitely be longer but for today, I want to share just a few of my favourite books specifically tackling the issue writers block or resistance. If this is something you struggle with, I hope one or more of the following can provide a breakthrough or just a shaft of light you can expand over time. I like a bit of woo-woo now and then, but I also have a limit for the books that go completely Muse-y on me, you know? This book really released something for me because it’s based on neuro-science and how your brain deals with fear. Now it’s the book I think all writers, and all creators, should read on the topic of writer’s resistance. I’m guessing you may already own this one! Morning pages are still a tool I use from time to time, as well as Artist Dates. I love(d) this book for its huge selection of quotes from other artists at a time when I felt alone in my creative life and unwilling to call myself an artist. I recommend a few others in this series as well. Coyne expands on the idea of “deep practice” he discovered when exploring what he terms “talent hotbeds.” This is a book about how other people achieve their creative aspirations and therefore, hey, why not you? It’s also a book about using your mistakes to advance your learning and get better at something in a shorter period of time than you thought was possible. And I’m a fan of books that take some of the mystery out of talent. Has anyone not yet heard of Brené Brown? This American academic has made a career out of studying shame and talking about it in public. The key point in this book – and a cross-cutting theme across much of her work – is the need to be vulnerable, why it’s important and how we can coach ourselves to do it more often. And what is creative work if it’s not being vulnerable in public pretty much 24/7? Highly recommend. There are LOADS more where these came from. I’ll add to this list and re-post a little later on, but in the meantime I’d love to know your recommendation for the best book you’ve found for tackling writer’s resistance. Please come find me on Instagram, Twitter or FaceBook and let me know which ones you love and why.